+1 for the music from Terry Gilliam's Brazil. I want to see this so badly--Theroux is so great when he deals with absurdity and malice together (eg his doc about white supremacists). I enjoyed it quite a bit more than Going Clear: Scientology and the Prison of Belief. 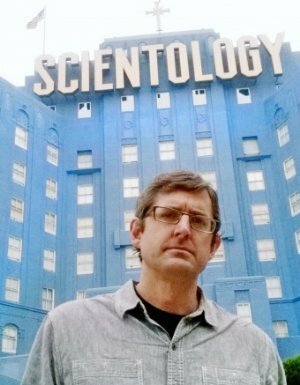 I liked it more because Louis Theroux finds a way to draw out the absurdity of this so called "religion". It's definitely worth finding and viewing. Also, that Theroux's documentary utilizes local actors to act out and the behind the scenes stories of what went on in the various levels of the Scientology hierarchy is also one of the more fascinating parts of this film. It makes the film feel even more bizarre and weird and yet it works so well for the subject. Does anyone know where someone in the US can watch this? It's now on Netflix in the US.